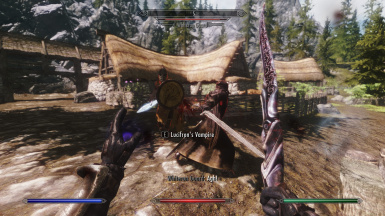 This mod adds 100+ new lore friendly spells to the game. Changed death FX for conjured undead. 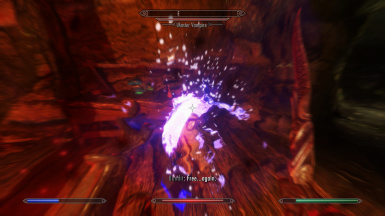 Improved sound and visual effects of various spells. Increased Wisdom spells recharge time to 3 seconds and changed the casting animation to more appropriate version. Increased speed of Toxic Cloud projectile. 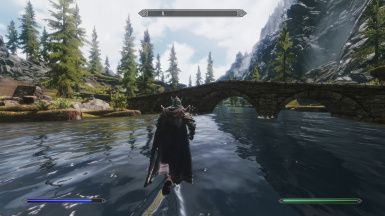 Cleaned the plugin with TES5Edit. Increased magicka cost of Toxic Cloud and Deadly Viperbolt. Blind changed to adept level spell. Mass Blind changed to expert level spell. Reduced magicka cost and area of effect of Mass Blind. Reduced the value of Blind and Mass Blind spell tomes. Changed visual effects of Blind and Mass Blind. 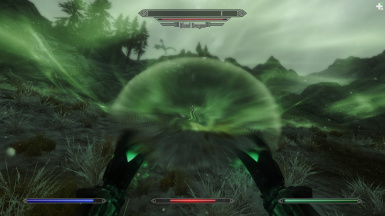 Increased speed of projectile used by Blind spells. Reduced area of effect of Mass Slow. Changed Poison Rune to deal damage over time instead of instant damage. Changed explosion sound and added imagespace modifier for Poison Rune. Added imagespace modifier for Toxic Cloud. Reduced magnitude and increased duration of Damage Magicka and Damage Stamina. Changed Damage Magicka and Damage Stamina to benefit from the destruction dual-casting perk. Increased magicka cost of most non-spammable spells (notably self-buff spells and Dire Aversion spells). Reduced magicka cost of Potent Viperbolt and Deadly Viperbolt. Various changes to all actors used by conjure spells. Minor changes to some spell descriptions. Increased the effectiveness of Safe Fall. Reduced the effectiveness of Damage Intelligence and Damage Strength. Changed projectile of Damage spells. Slightly reduced the speed of projectile used by Viperbolt spells. Slightly increased the speed of projectile used by Slow spells. Master of the Mind perk now affects Calm Rune, Fear Rune and Fury Rune. Cure Disease changed to adept level spell. Magicka cost increased. Cure Poison changed to apprentice level spell. Magicka cost increased. Cure Disease and Cure Poison spell tomes are now more valuable. Haste no longer benefit from the dual casting perk. Slow and Mass Slow no longer get resisted by enemies. Removed Potent Toxic Cloud and Deadly Toxic Cloud spells. Toxic Cloud is now expert level spell, so magicka cost and magnitude is increased to match the level. 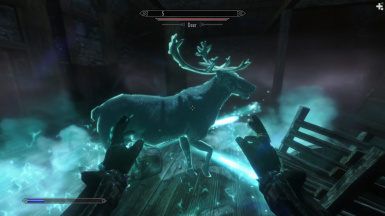 Riverwood Trader no longer sells Toxic Cloud spell tome. Sound and visual effects of Viperbolt, Potent Viperbolt, Deadly Viperbolt and Toxic Cloud are now less annoying. Poison spells now provide slightly more exp during using. Skeletal Dragon used by Conjure Skeletal Dragon is no longer 100% weaker to magic. Infact, it have now 100% resistance to frost. Ghost used by Conjure Ghost now deals 20% less melee damage. Vampire used by Conjure Vampire now deals 20% less melee damage (was implemented in 1.2 version actually, forgot to add that in change log). 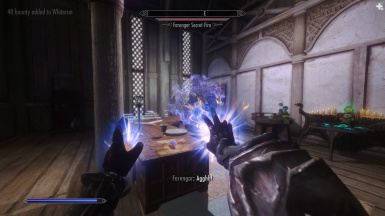 Following spells no longer benefit from the dual casting perk: Extra Health, Extra Magicka, Extra Stamina, Fortitude, Regeneration, Lasting Potency, Vigor, Recovery and stronger variants of the said spells. Increased the magicka cost of Dispel, Damage Magicka and Damage Stamina. Changed the visual explosion of Mass Slow. Changed the hit shader of Damage attribute spells. Changed the hit effect art of Dispel spells. Necromancy, Twin Souls and Summoner perks now affects conjured undead. 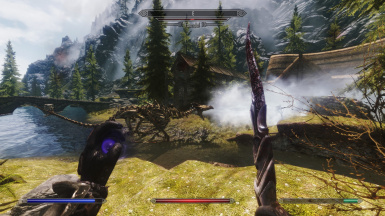 Riverwood Trader now sells Toxic Cloud spell tome. Removed conjure animal and creature spells. Conjure spells no longer get blocked by spell absorption. Increased the duration of Disease Immunity. Reduced the magicka cost of Strong Recovery. Command Undead no longer affects targets above level 20. Reduced the duration of Command Undead. Increased the magicka cost of Strong Vigor, Strong Regeneration and Strong Lasting Potency. 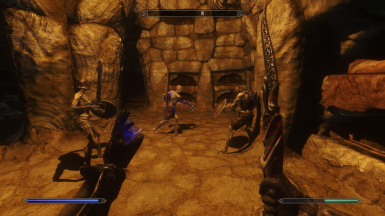 Reduced the price of Extra Health, Extra Magicka and Extra Stamina spell tomes. Minor changes to all actors used by conjure spells. Increased the duration of Damage Magicka and Damage Stamina. 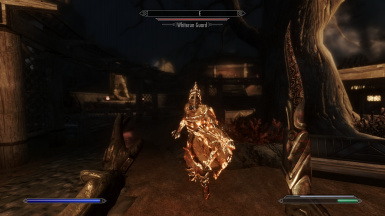 This mod adds 100+ new lore friendly spells that were missing (in my opinion) from the original game. All spells are added to the leveled list so they can be found like any other vanilla spells. 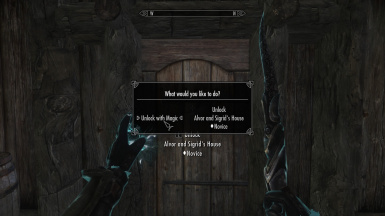 The purpose of this mod is to add more choices and flavour for the magicians and to keep the vanilla feel of the game. Now, I'm not going to claim how fair and balanced these spells are, because it's everyone's personal opinion. Try the mod and judge it yourself. Master level spells can be bought from spell vendors when the appropriate skill is at least 90. Aversion, Wisdom, Slow, Haste, Regen (Regeneration, Recovery etc), Fortify attribute (Extra Health, Fortitude etc) and Damage (Damage Strength, Damage Intelligence) spells do not benefit from the dual casting perk. Therefore they do not get double magnitude or duration from it. 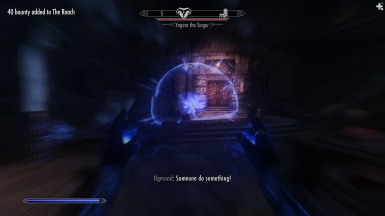 The effects caused by these spells do not stack with themselves. Using same spell twice only resets the timer on it. All spells (except Wisdom spells) have 0,5 second charge time and require one hand, even the master level spells. When casting Blind on enemies, it is important to cast Muffle on yourself first. Otherwise blinded enemies will still "see" you. Not all spells give experience on use. There is nothing I can do about it. 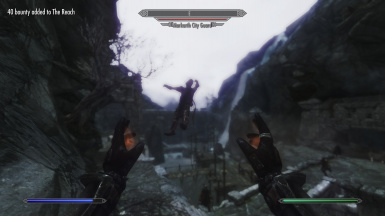 Warning: This mod may contain same spells which are introduced in a numerous other spell mods here in Nexus. Does not contain any earthquake, teleport, meteor shower or conjure zombie army spells. 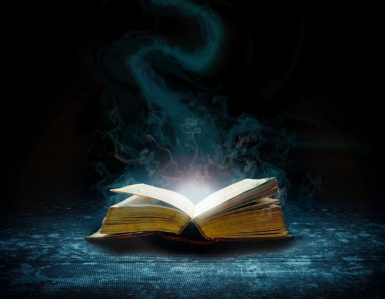 To see descriptions of the spells check out the "readme" tab. 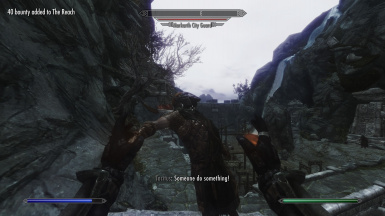 Installation: Extract files to Skyrim/Data folder. Use launcher and in data files select LoreFriendlySpells.esp. 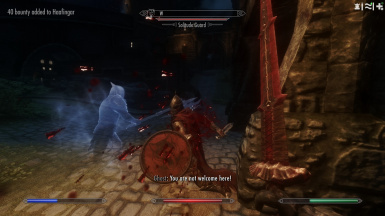 Compatibility: This mod is not compatible with mods that change or alter spell vendors and leveled lists of the spell tomes.